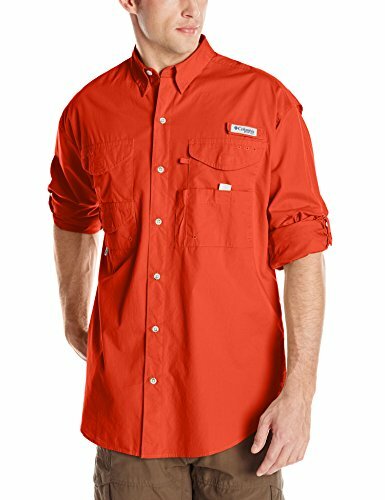 Columbia Sportswear Men’s Bonehead Long Sleeve Shirt. The men’s Bonehead shirt from Columbia offers an agreeable, fisher benevolent outline with the goal that you can keep your brain on the fish. 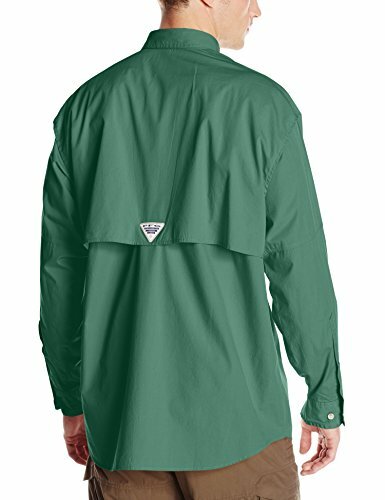 The shirt is developed of delicate, 100 percent cotton poplin for lived in solace and offers work lined cape vents on the back shoulders to keep air streaming. Handle prepared, the shirt is outfitted with snare and-circle shut fly box pockets at the chest, and also an apparatus holder, an utility circle and a bar holder circle so your hands can stay allowed to work with lines and draws. 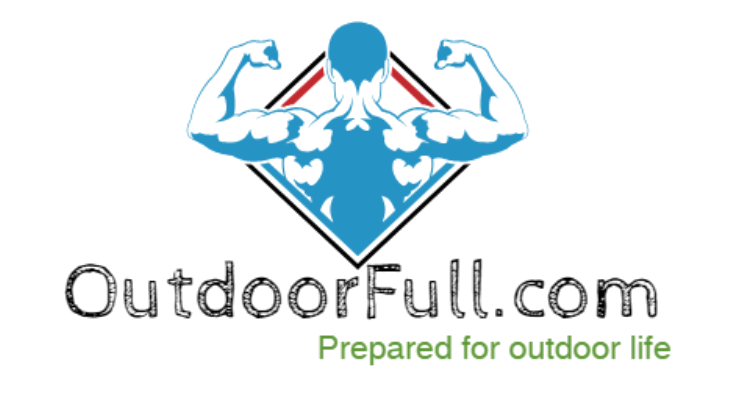 The sleeves can be moved up and anchored with convenient catch tabs and the neckline tips have snare and circles that enable you to stand it up to keep the sun off your neck.